Mixing his spontaneous creativity and absurd view of the world, Rory Scovel is quickly making a name for himself across North America. Whether discussing drugs, politics, or life in general his infectious stage presence and engaging charisma will quickly shift the vibe of any room and place the audience in the scene of every punch line. 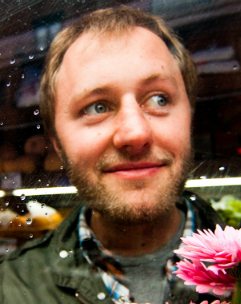 Rory Scovel has been featured at the Just For Laughs festival in Montreal, Bridgetown Comedy Festival, Bumbershoot and Bonnaroo. His Comedy Central Half Hour premiered this past May. Rory has also been seen on Late Night with Jimmy Fallon, Late Late Show with Craig Ferguson and CONAN. His CD, DILATION, is currently available on iTunes.